A red wolf in the wild is rare to see. Lanky and graceful, with a trim brown-and-buff coat and cinnamon ears, red wolves are a federally recognized endangered species — so endangered that only 40 live in the wild. All of the wild red wolves live on 1.7 million acres of both public and private land in five counties in eastern North Carolina. This is part of the wolves’ original territory, where federal wildlife officials reintroduced them in 1987 in hopes of saving the species. Yet the future of the red wolf is tenuous. Once extinct, the population rebounded and peaked at 130 red wolves in 2005-06, only to plummet to since. In addition to dying from natural causes, the animals have been hit by cars, trapped, poisoned, drowned and illegally shot. The U.S. Fish and Wildlife Service’s inability or unwillingness to manage the red wolves has prompted the agency to weigh whether to continue the red wolf recovery program. 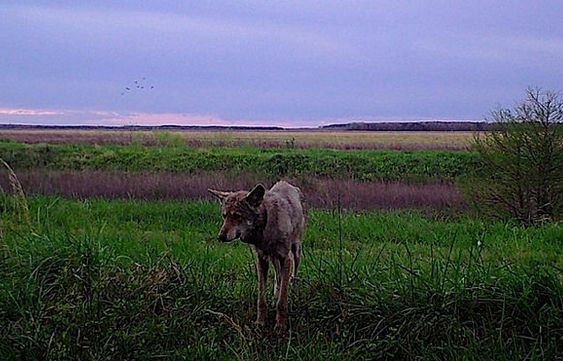 This month, USFWS Director Dan Ashe is expected to rule on how to manage the 40 remaining wolves in Tyrrell, Dare, Beaufort, Hyde and Washington counties. His decision ostensibly will be based on science, primarily the health and viability of the wolves in their natural wild habitat. 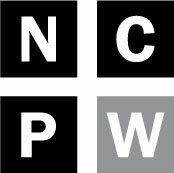 But wildlife advocates fear that several factors could sway Ashe’s ruling: Opposition to the program within the N.C. Wildlife Resources Commission and the influence of politically connected private landowners in eastern North Carolina, who also want to get rid of the wolves. Kim Wheeler’s office, filled with books, magazines and scientific literature on red wolves, sits on a quaint street near an historic movie theater and a small diner in downtown Columbia. The head of the Red Wolf Coalition, Wheeler is one of the animal’s fiercest advocates. Over the past 10 years, she has seen the number of red wolves decrease and the number of wolves dying by gunshot increase. After being declared extinct in the wild in 1980, red wolves made a comeback in North Carolina in 1987, when a pair of captive-bred animals were introduced in the Alligator River National Wildlife Refuge (See timeline). By 2005, that number had jumped to as many as 130, which roamed on both private and public land. But since 2006, the population has tanked to just a third of its peak. From 1987 to 2000, 15 red wolves died from gunshot wounds, an average of 1.2 per year, according to USFWS mortality data. But from 2000-2013, the number of wolves killed by gunshot increased to 73, about five per year. Wheeler, Defenders of Wildlife and the Animal Welfare Institute, have fought for the wolves in federal court. After the N.C. Wildlife Resources Commission ruled to allow the hunting of coyotes at night in the recovery area— dangerous to red wolves because the two species are easily confused — the groups sued. 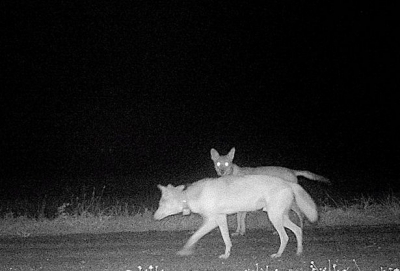 The Southern Environmental Law Center successfully convinced a judge to issue an injunction against night hunting, which can help curb the number of gunshot deaths, the leading threat to the species. Federal law allows private land owners to kill wolves only under very limited circumstances, when, for example, life or property, such as crops, are threatened. Hunters also accidentally shoot red wolves, which are easily mistaken for coyotes. Hunters must notify wildlife officials of the incident within 24 hours. But more often, wolves are dying from intentional shootings, also known as “suspected illegal takes.” In an illegal take, the shooters often remove the wolf’s radio collar, used to track her location. The SELC filed a motion to stop the federal agency from granting take permits. A judge is still weighing the case. “What we’ve argued is you can’t go after wolves for just being wolves,” SELC attorney Sierra Weaver said. The N.C. Wildlife Resources Commission has also undermined the recovery program. WRC Director Gordon Myers did not respond to a request for comment but in February, he told a House Committee that “the red wolf program will never be self-sustaining and will never exist entirely on federal lands.” He later leaned on the legislature to draft a bill directing USFWS to discontinue the program and “declare the red wolf extinct in the wild.” The bill died in committee. It is true that USFWS has undercut its own recovery program, a flagship of the Endangered Species Section. The agency hasn’t prosecuted anyone for illegal takes. Nor has it explored other potential recovery areas. USFWS eliminated its full-time red wolf recovery coordinator position, and abandoned its placeholder program. That program allows wildlife officers to trap, sterilize and re-release coyotes to keep them from interbreeding with red wolves and diluting the species’ gene pool. 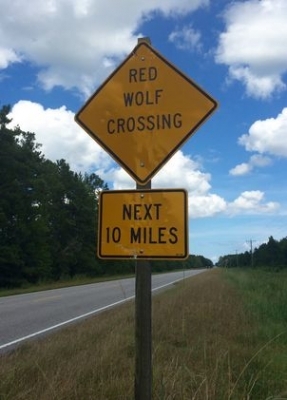 It has also reduced its red wolf tracking program. And last December, the agency, which even then was deliberating the future of the recovery program, signaled more bad news for the red wolf. It inexplicably ended a three-year educational red wolf project that it had undertaken with Wheeler and the Red Wolf Coalition. Ferebee has led the charge against the wolves, complaining to USFWS that it had illegally released too many wolves, including those on private land. Other unnamed landowners also alleged that USFWS falsified data about the number of releases, according to an Inspector General’s report. However, that report found those claims were unfounded. While the number of releases exceeded what was laid out in the original plan, the recordkeeping was complete and correct. Wildlife agents did release 63 wolves on private land, but the report found that the owners gave consent. Another unnamed landowner alleged to USFWS that it had falsified mortality data, claiming wolves had been killed by gunshots rather than natural causes in one case “to intentionally bolster support for the injunction” against coyote hunting, and in another as part of a “coverup.” The Inspector General found no evidence of any wrongdoing in either case. Ashe’s ruling could happen as early as next week. He could leave the program intact. He could require wildlife officials to trap the wolves on private land and release them back on federal property. Or he could order the wolves placed in zoos or nature centers, where there are captive breeding programs. But once a wolf is wild, it’s difficult for her to adapt to confinement. “A wild wolf in captivity is not a good situation,” Wheeler said. To confine a wild animal because it of essential nature — being wild — does not bode well for any endangered or threatened species. Already, these animals are being evaluated on an economic basis, and not on their intrinsic value as a key part of a vibrant ecosystem. More than 4,500 animals, ranging from the California Condor to freshwater mussels to the Palila Hawaiian Songbird have been saved and successfully reintroduced into the wild. Next article What would happen if politics was not part of the redistricting process?